Oh that pendulum. How it does swing. Amazon.com - the very ecommerce website that put loads of brick and mortar bookstores out of business is now getting in the the business of -- you guessed it -- opening brick and mortar bookstores! And not just a handful - Amazon plans to open 300-400 stores across the country! 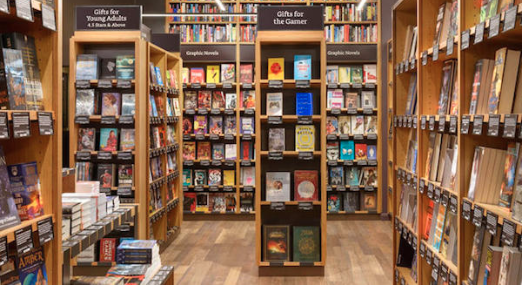 So what makes them different from all those other book stores that Amazon crushed? These stores will focus on offering only the books with the highest star ratings - the best of the best! Our guess is that there will be some additional cool experiences yet to come, but we'll just have to wait for one to open up around us!